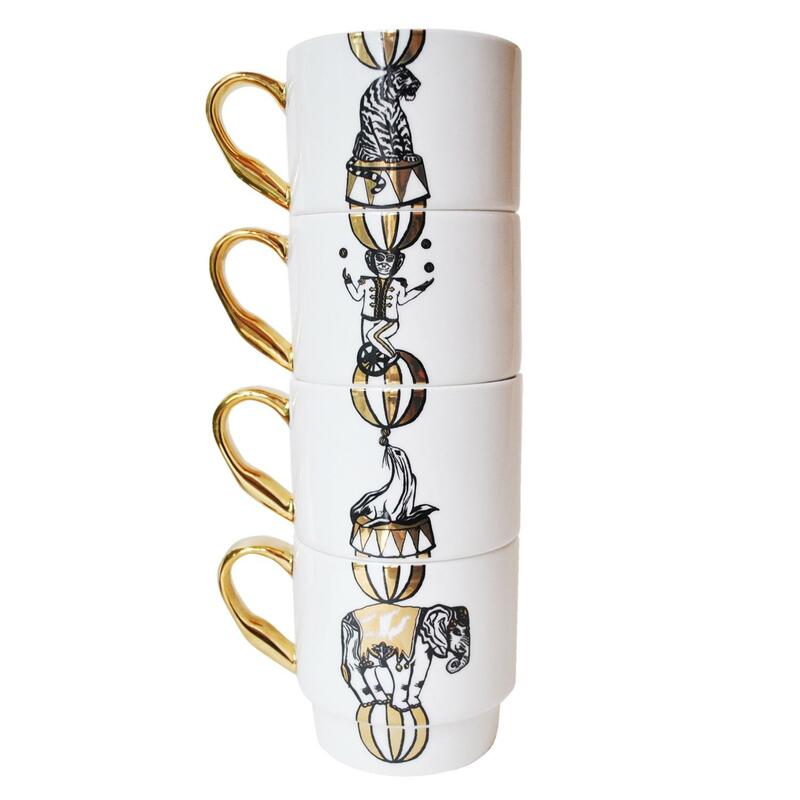 We stopped in our tracks when we saw these stacking mugs and knew straight away that we just had to stock them. 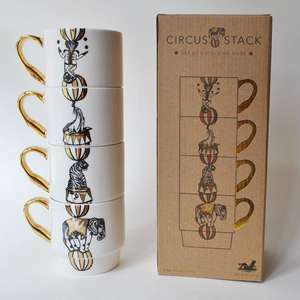 Inspired by the circus and all the nostalgia around it, these mugs by Maid in China, work well on their own, but cleverly work better when stacked.?? 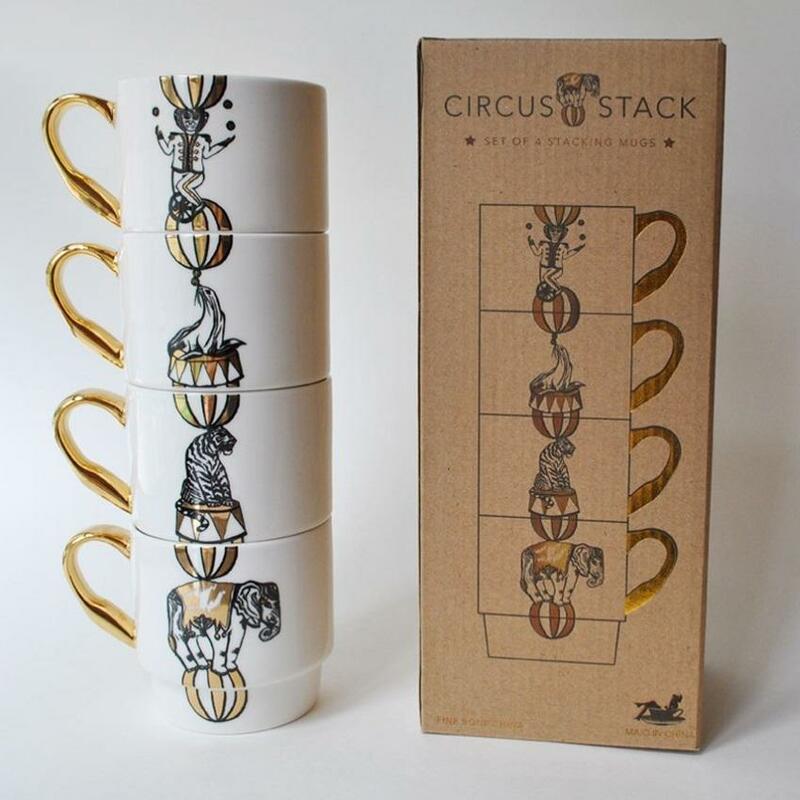 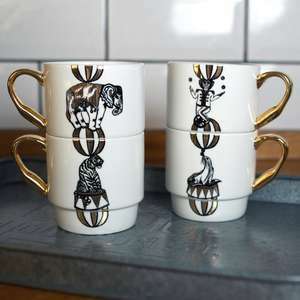 Each mug has a different circus animal printed on it - a tiger, elephant, monkey and seal, which when stacked makes a tower of balancing circus performers. The mugs are fine bone china, with hand painted gold handles and decal illustrations. 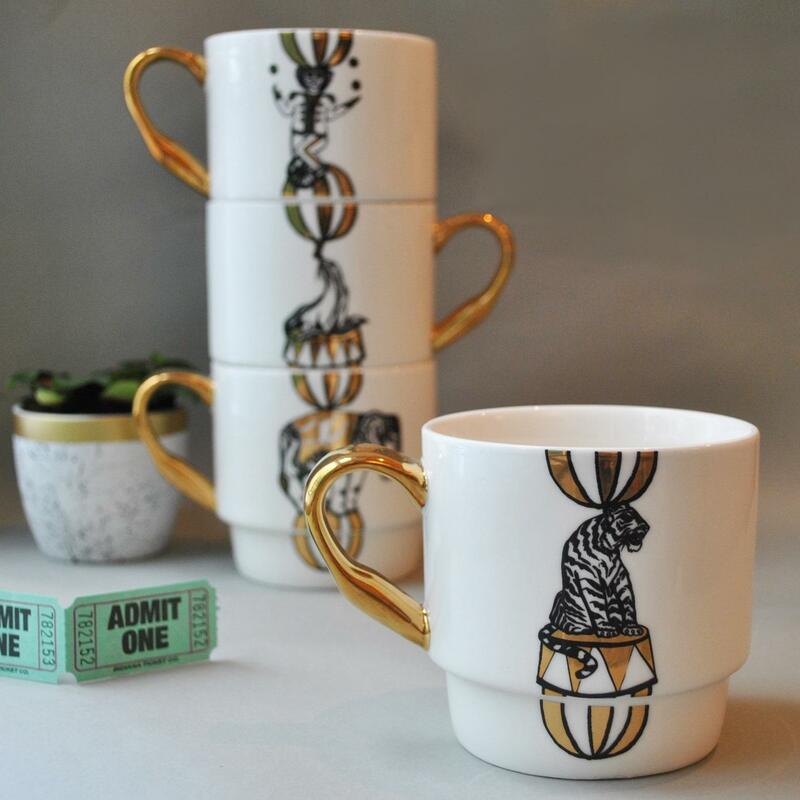 Suitable for hand washing only. 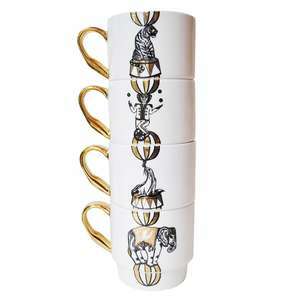 They are packaged in a beautiful, gold printed gift box.